Bhubaneswar: Chief Minister and BJD Supremo Naveen Patnaik today came down heavily on BJP-led NDA Government at the Centre for its failure to fulfill the promises it had made to Odisha five years ago. Addressing the 21st Foundation Day of Biju Janata Dal held at the party headquarter here today, Patnaik targeted the Centre by shooting nine questions that are yet to be addressed. Patnaik then slammed the Centre over poor mobile connectivity saying that scores of villages in Odisha are yet to get BSNL connection and the telecom service is considerably very poor in rural areas. Besides, the urban areas always face network busy problem. Raking up the delayed rail projects, the Odisha CM said that though the state government allocated land for Khurda-Bolangir railway line project and sanctioned half of the project cost, the project is yet to see the light. Patnaik further said that during demonetisation people were forced to go to the banks and stand in long queues. They faced a harrowing time during this period. Besides, many villages in Odisha lack bank facilities. “The Centre has held many meetings and discussion, but people are not able to avail bank services,” he stated. The BJD supremo said that the Centre had announced Odisha will receive Rs 70,000 crore from auction of coal blocks. However, the State has only received Rs 370 crore in the last three years, he added. 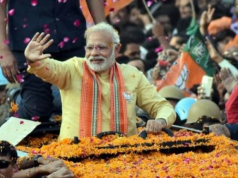 “The BJP in its 2014 poll manifesto had promised special category status for Odisha, 1.5 times hike in MSP and 33 per cent reservation for women, but nothing has been fulfilled since the last four and half years,” the Odisha CM said. 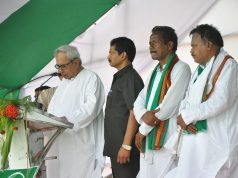 Patnaik also pointed out that the Centre’s has stopped the funding for the development of tribal areas. Moreover, it has stopped the SC/ST scholarship for poor tribal students for the last two years. Apart from the nine points, the Odisha CM said that the coal royalty revision is due since April 2015. Though the decision can be taken within five minutes, it is still pending and in the meantime people of Odisha have lost thousands of crores. Through Clean Energy Cess the Centre received Rs 21,000 crores but Odisha got ‘zero’. By setting up industries in Odisha, minerals were taken away from the State. 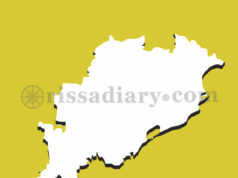 Patnaik said, “While Mahanadi Coalfields is earning Rs 20,000 crore profit every year , Odisha receives only pollution. Besides, the Indian Railways is earning Rs 20,000 crores from Odisha, but its expenditure is only 2,000 crores. Naveen also invoked late Biju Patnaik’s statement and sought fiscal autonomy so that Odisha Government can decide on the financial matters on its own. “I don’t need any special category status. I don’t need any central assistance. Give me financial autonomy”, he asked the Centre. Later, the CM exhorted the party workers to sensitize the public about various welfare initiatives of the State Government.